A famous English bard once rued that what was in a name? Call it Varanasi, Banares, Kashi or by any other name you like, the city is bound to invoke a similar feeling every time you choose to take its name: of the city being at one with your inner self. After all, how many places can you recall which exist in a perfect balance between their ancient and modern civilizations? Mark Twain once said: “Banaras is older than tradition, older even than legend and twice as old as both of them put together.” A city which is the oldest continually inhabited place in the world, yet seemingly timeless in a curious way. Its ghats embody the multiple facets of life, its innumerable temples are the sanctuaries of unending spiritual grace, its people an affable and jovial lot and the river Ganges which gives the city its meaning is the fountain of life and inspiration for many. 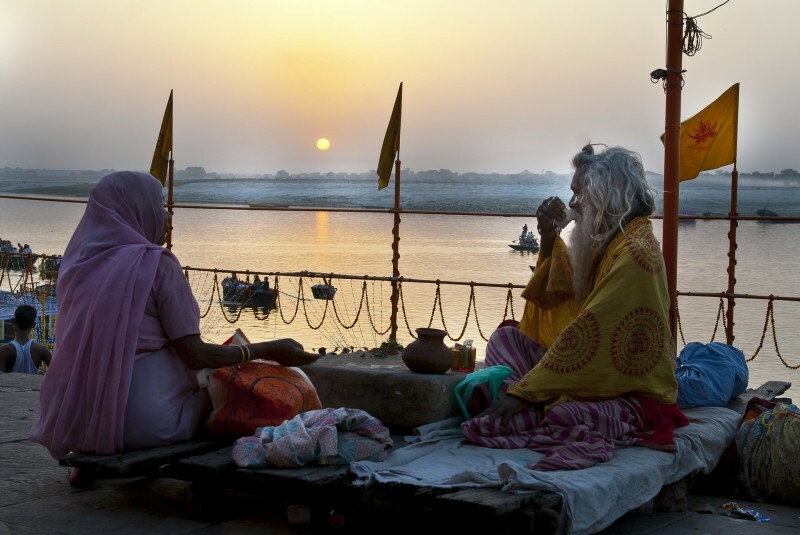 ‘Kadam to rakho Kashi mein, tar jaoge Kashi mein.’ (You are sure to attain salvation once you’ve visited Kashi). A place which deifies death as much as it celebrates life. Mythology has it that the funeral pyres at the famous cremation grounds of Manikarnika and Harishchandra Ghat never cool down. As the flames from the funeral pyres lick the air with a feinted romanticism, there are always scores of people silently witnessing the entire process. Varanasi is perhaps the only city where people wish to die, as it gives them a chance to attain salvation without any qualms. Kashi Mumukshu Bhawan is a hostel which caters to the needs of the dying, and it is believed that those who lodge themselves at this place are sure to break free from the bondages of life within a very short time. Much like the ghat in Rabindranath Tagore’s short story by the same name, every ghat in Varanasi has its own unique story. 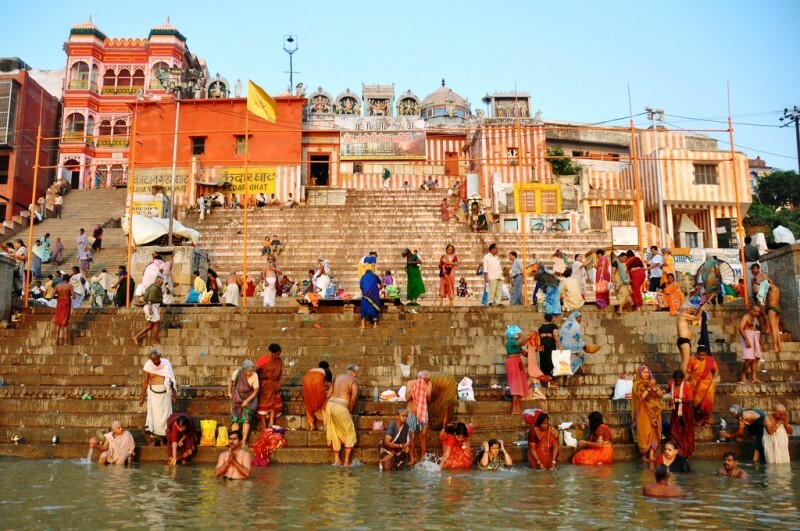 Ghats in the holy city are more than just a set of stone steps leading down to the riverfront. They are the epicenters of all kinds of activities in the city, much like the gurdwara in the fictional village of Mano Majra woven by Khushwant Singh. If there is one place in India where it is possible to brood in solace, while letting the choppy ambiance relegate itself to the background, you just went through the description of the place. Ghats like Ravidas, Assi, Shitala, Dashashwamedh, Tulsi and Bhadaini ghats are just a few names from the entire coterie. You might want to explore the others for yourself. As the day falls, the ghats of the city of lights gear up to sing praises in the glory of the river which is an integral part of the city’s life. The ghats turn into miniature versions of India as the full might of the city’s diverse cultural tradition is put up on display. The rituals are elaborate, and defy understanding at times. Curiously, when the fragrance of the incense sticks is coupled with the sonorous rhythm of the conch shells, an eerie calm descends over the place amidst the pervading cacophony. As the life-sized brass lamps move deftly through the evening air charged with devotion and spirituality, the climax seeps inside all those who throng the place. The experience can best be described as enervating and soulful, as words simply fail to to describe the event accurately. The principal entrance to BHU sits majestically unperturbed, somewhat in awe of the dichotomy it creates. To its one side is the bustling city which represents chaos in all its forms. To its other side are massive, tree-lined boulevards which terminate in front of architectural edifices which are a living testimony to the ancient and modern existing in a perfect communion, here in this city. The largest residential university in Asia is like a serene oasis, amidst a desert of ruckus which exists outside its walled periphery. Those familiar with Greek mythology might find similarities between the place and the ‘Isles of Blest.’ With a temple whose vimana is a prominent fixture in the skyline of Varanasi, BHU never once fails to enthrall. A temple in the holy city is just a stone’s fling away, as there are temples in almost every lanes of the city, and at every nook and corner. 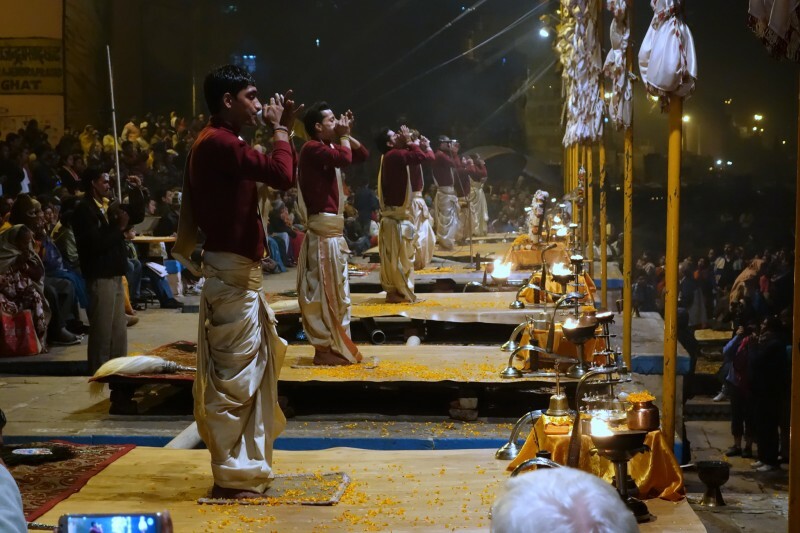 And Varanasi is also known as ‘Galiyon ka Shaher.’ People in the holy city like to communicate to their deities they worship in a way which is unique to the place. The phrase ‘Har Har Mahadev‘ (victory be to Lord Shiva) is the most common greeting in the city. 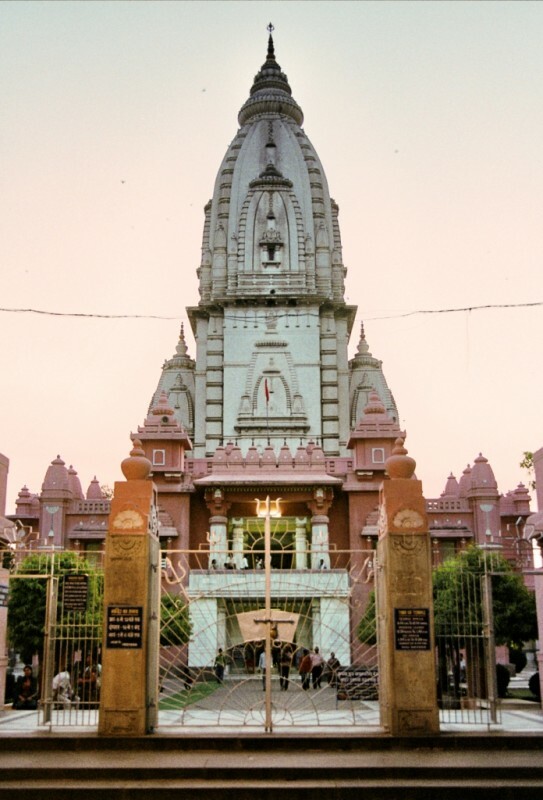 With a temple dedicated to the personification of India as a goddess named the Bharat Mata temple, the famous Kashi Vishwanath temple which is one of the twelve jyotirlingas of Lord Shiva, and a host of other temples, not for nothing Banaras is dubbed as the city of temples. The numerous festivals in the holy city might be tinged with a predominantly religious fervor, but they resonate immediately with one’s inner self. 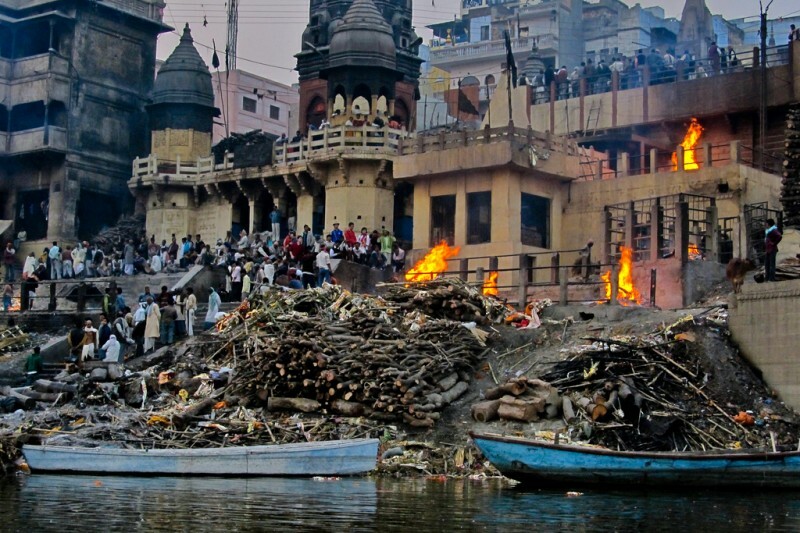 Be it Dev Dipawali when the entire city, and the ghats in particular, are lit up with the flickering lights of a million earthen lamps or diyas, or the annual Ganga Mahotsav which celebrates the glory of river Ganges, Varanasi has a knack of putting a spell around those who put their faith in it. 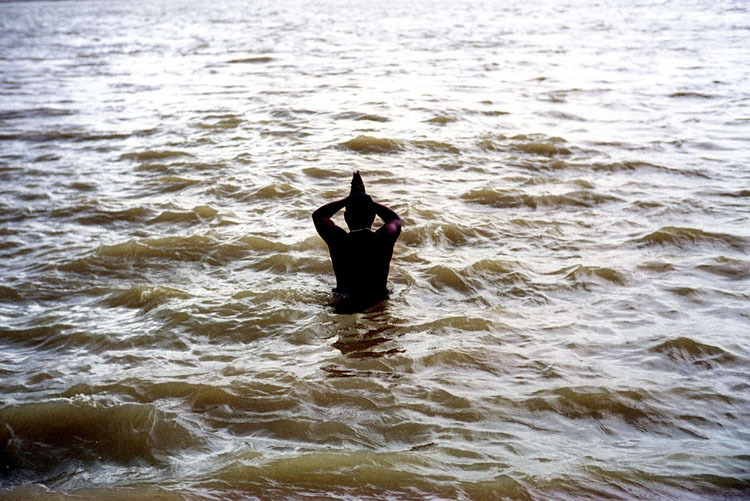 While in Banaras, do as the Banarasis do. 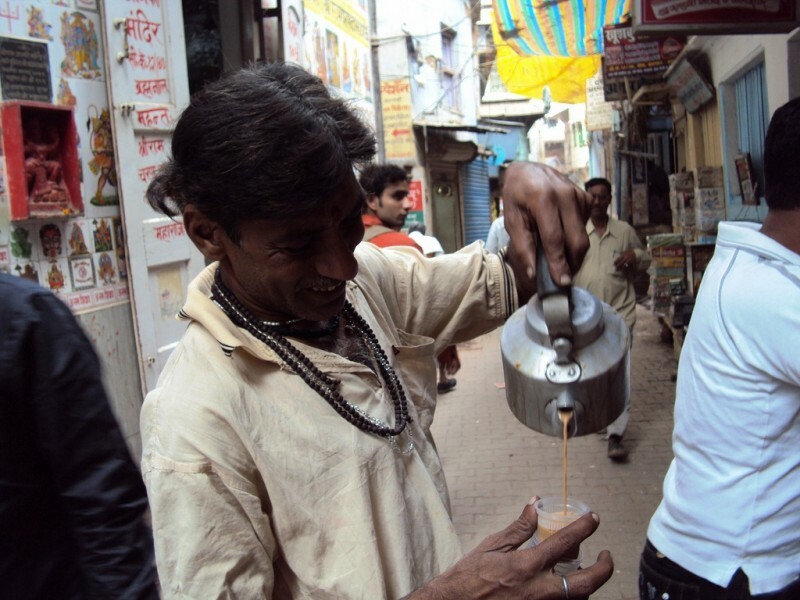 That is to say, sip tea at intermittent intervals from a kulhad (a small earthen vessel) at one of the many tea-stalls or ‘chai ki adi‘ as such points are known popularly across the place and recall the famous song Banarasiya from the Bollywood movie Ranjhanaa which sings praises of the Banaras-wallahs. They are known to be a cheeky lot, and even an innocuously sounding discussion at one such tea stalls might soon erupt like a volcano, within minutes. To prove a point is a penchant with the local folks. An another such penchant is for the sublime ‘betel-leaf concoction‘, known popularly as banarasi paan. The staple sweet dish and the dessert for all seasons in the holy city, the concoction dissolves as soon as it is put inside one’s mouth. Ask anyone to list the names of a few important places in Varanasi and the name of godowliya is sure to figure high up on that list. Despite its menacing traffic and overcrowded streets, the place is a sheer delight to the senses. An epitome of about almost everything which the city stands for, godowliya is a shopper’s and a foodies’s paradise. It offers a myriad of culinary pleasures, and a mere stroll around is bound to titillate the taste buds. Evenings cast a veil of profound surrealism over the place, as all roads lead to the Dashashwamedh ghat which lies in close vicinity to the place. Disclaimer: I am not responsible for any instance of exaggeration which may have crept into the bygone post, as my love for the city teeters precariously on the brink of hysterical. About the author: Anand Singh is a masters student of Journalism and Mass Communication at Banaras Hindu University. Writing is his passion and he likes to read a lot, political history of India in particular. Brooding at the ghats with a good book at his side is his mainstay, apart from an adequately sweetened mug of coffee or a cup of lemon tea. He also writes posts for Holidify, a platform to discover weekend getaways and other holiday options in India.